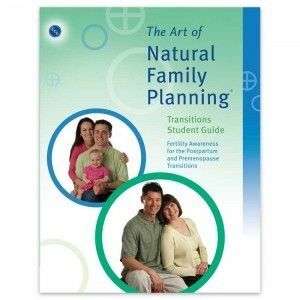 This is the manual for CCL's Transitions Class, which is a continuation of material presented in CCL's Main NFP series. Learn to recognize the hormonal changes in the transitions from pregnancy back to normal fertility cycles and from premenopause to menopause. Learn how to apply the rules and guidelines of NFP during the transition times. Understand the effects of the premenopause transition on fertility. Realize the benefits of exclusive breastfeeding for the first six months of your baby's life, and continued breastfeeding thereafter until child-led weaning. Know all the various types of baby feeding and how each one affects the return of fertility.